Do you like to crochet? 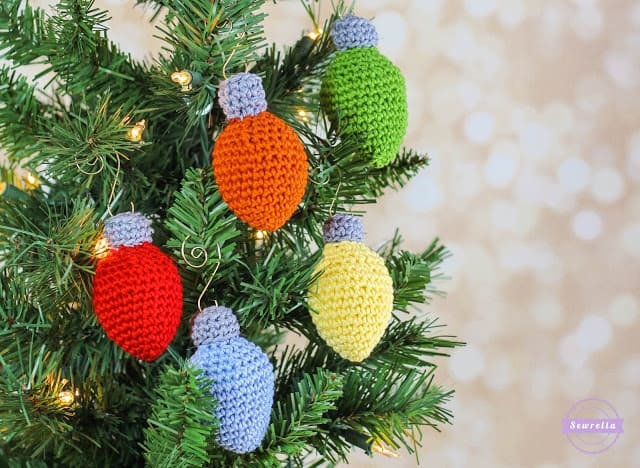 These crochet Christmas ornaments are fun to make, gift, and display on your own tree. I always like to keep a crochet project in my purse. These projects are the perfect way to make a handmade gift this holiday season. If you love to crochet you will also like this crochet joy banner. 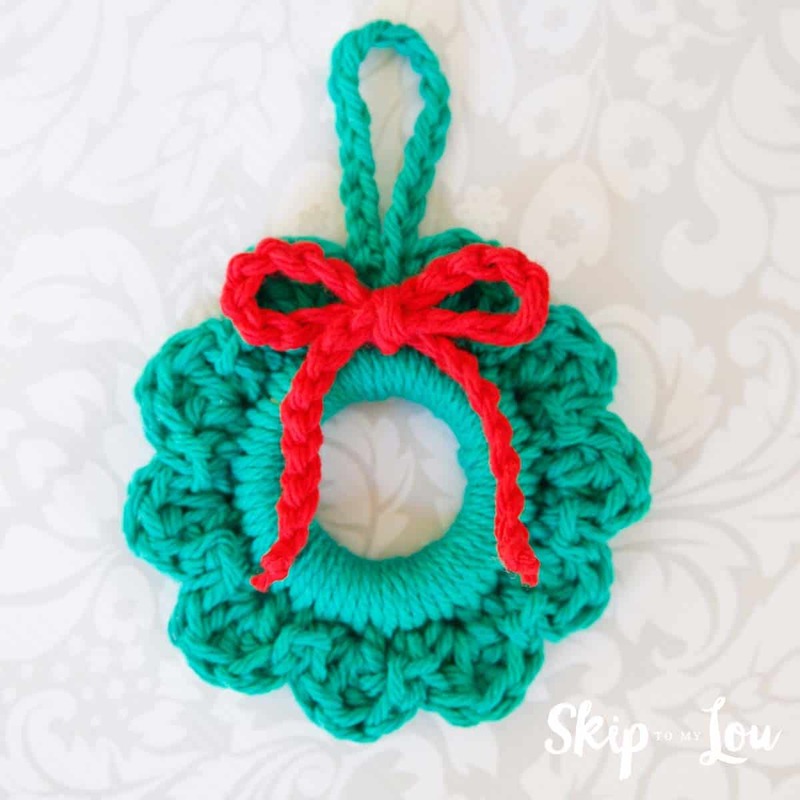 Whip up this crochet wreath ornament in a matter of minutes. These little wreaths would also make great package toppers. 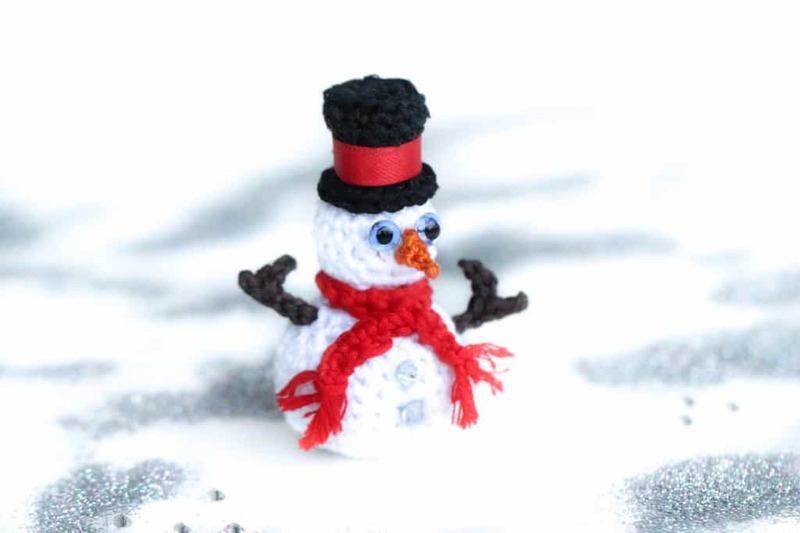 This cute snowman can be made to hang nicely from your tree. These lights are unique and have some vintage charm. 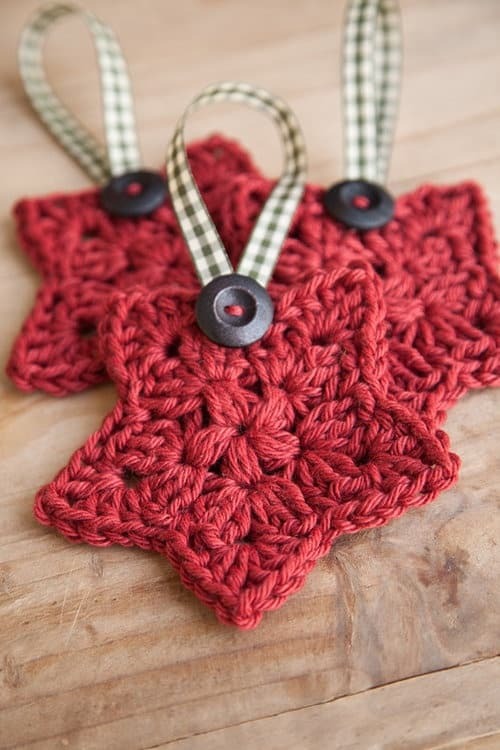 Crochet a simple star to light up your tree. This is also a great package topper.